Finding winged insects in your house can be an alarming discovery because they may indicate the presence of a termite infestation. Many people mistake termites for ants, thinking them harmless intruders looking for a sugar bowl to raid. They may set out ant bait, believing that that's the last of their ant problems. Meanwhile, the termite colony continues to grow and devour their home. It's important to be able to make the distinction between termites and ants. If you are experiencing a winged insect infestation in your home or business, it is important to contact Titan Termite & Pest Control for a free estimate. 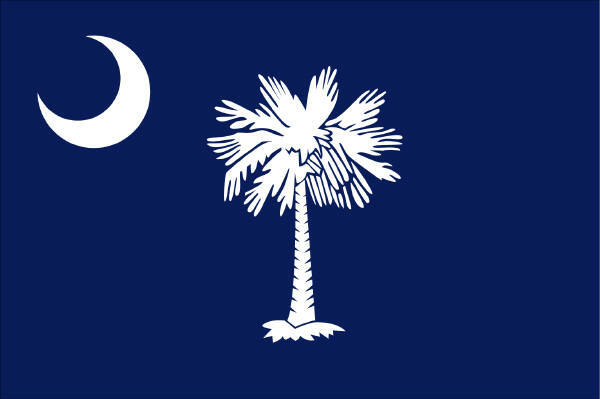 Our professionals service all of South Carolina, including Charleston, Greenville, Myrtle Beach, and Columbia. 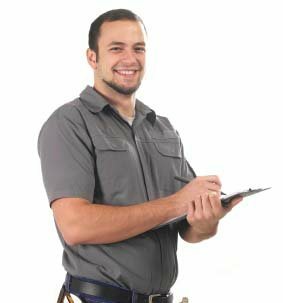 We offer termite inspections and termite control services. Most of the time, termites like to stay concealed in moist wood or the ground where the humidity is high. That's why the only time you're likely to see termites is when the queen has produced flying offspring to establish other colonies. At this point, the infestation is likely quite serious. These winged reproducers are easily mistaken for winged ants, which undergo a similar life cycle. The average flying termite is between one-quarter and three-eighths of an inch long. Their body color ranges from a white, translucent fleshy color, yellow, brown or even black. In addition, termite wings are wasp-like, smoky-colored and longer than the insect's body. Unlike the wings of flying ants, both pairs are the same size. These flyers are commonly referred to as swarmers due to the fact that they emerge in large numbers all at once, often after a heavy spring rain. There are other features of termites that set them apart from ants. Termites have short, stocky legs that help support their thick waists and bulky bodies. Ants, on the other hand, have thin, wasp-like waists and long legs. Also, termite antennae are short and straight, whereas ants' are long and jointed. If you've been finding piles of insect wings in your home, you may be understandably puzzled. This isn't a sign of a new infestation. These wings are left behind by the swarmers, who shed their wings after a time. If you see this, it's a sign of a big problem that needs to be fixed as quickly as possible. In order to help you better differentiate between ants and termites, it helps to know a little about termite biology. A colony is started by a male and a female that stay together for life. They can maintain a colony for 20 years of more, and the female lays more than 100 million eggs during her life. The majority of these eggs become infertile drones that forage and care for the entire colony and its young. As the queen gets older, she begins to produce offspring that are capable of reproduction and flighted travel. These offspring eventually leave the colony to begin another. As soon as you see any of these signs, even if you think you may just have ants, it's strongly recommended to contact a professional pest control company. The sooner you wipe out termites, the less damage your home will sustain. 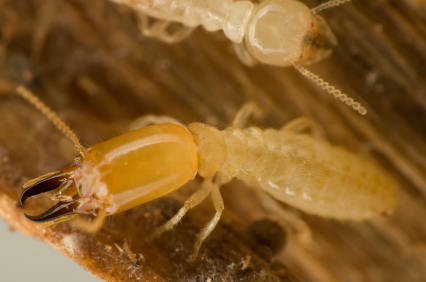 Titan Termite & Pest Control is your South Carolina termite control expert. Contact us today for a free estimate.